This fun henley features a skating dino skeleton, jamming to some tunes! 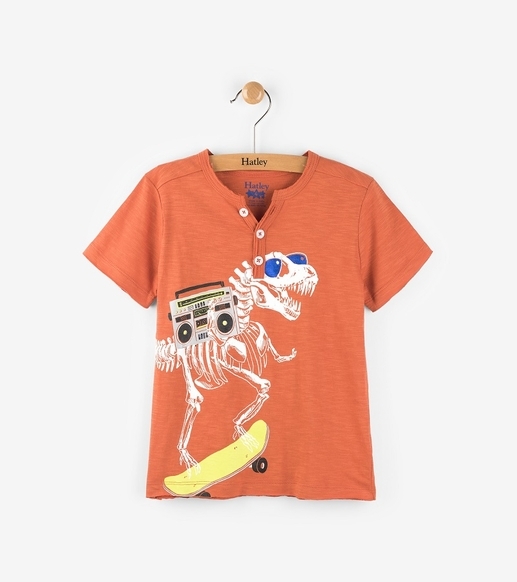 The coolness factor is turned up on this tee with raw cut edges. Made of 100% cotton by Hatley.